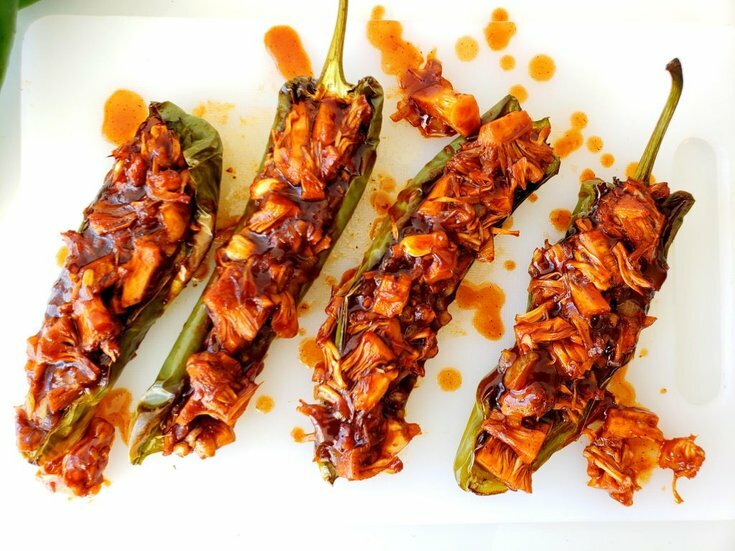 Jackfruit simmered in a hickory BBQ sauce, then stuffed inside Anaheim peppers. This sweet but spicy dinner idea is bursting with flavour. Definitely a vegan favourite! 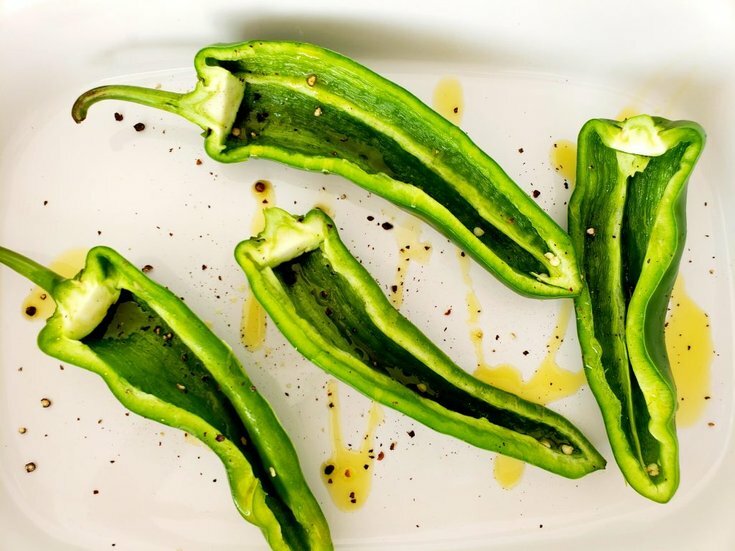 Anaheim peppers are quite large, which makes them a very versatile ingredient. This is where I got the idea to use them as a vessel to hold loads of sweet and savory BBQ jackfruit (pulled "pork"). 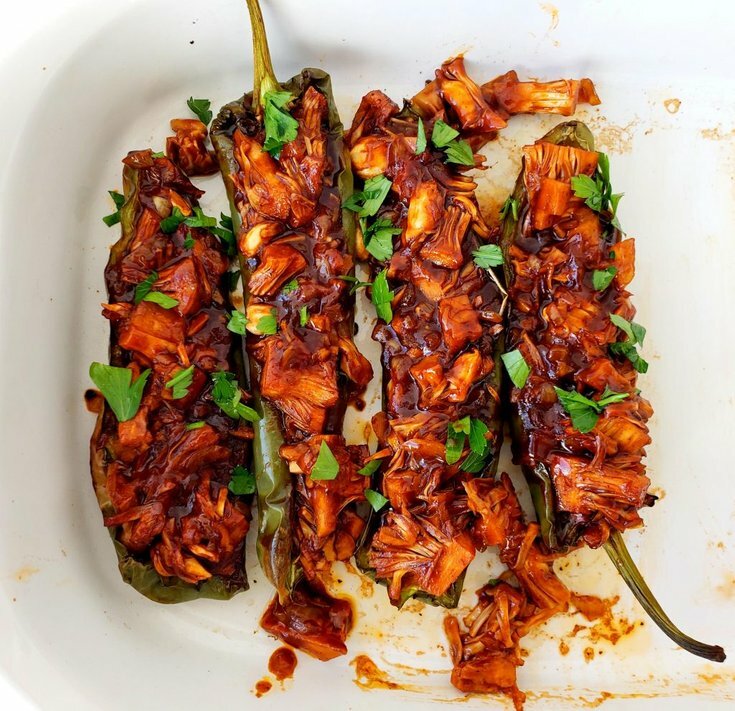 This pulled "pork" is then stuffed inside roasted Anaheim peppers, creating a perfect balance of spice. Anaheim peppers have a hot-pepper like an appearance, but surprisingly they only have a mild-medium flavour. This makes them good for people who don't particularly love spicy foods. To prepare the Anaheim peppers, preheat oven to 350° F. Then, cut the peppers in half, lengthwise. Scrape out the seeds and membrane, discard. Then, place the halves of the peppers cut side up into a casserole dish or pan. Then, drizzle with about 1 tbsp of olive oil, followed by a pinch of salt and pepper. Next, roast in the oven for 20-30 minutes, or until the peppers begin to wilt. 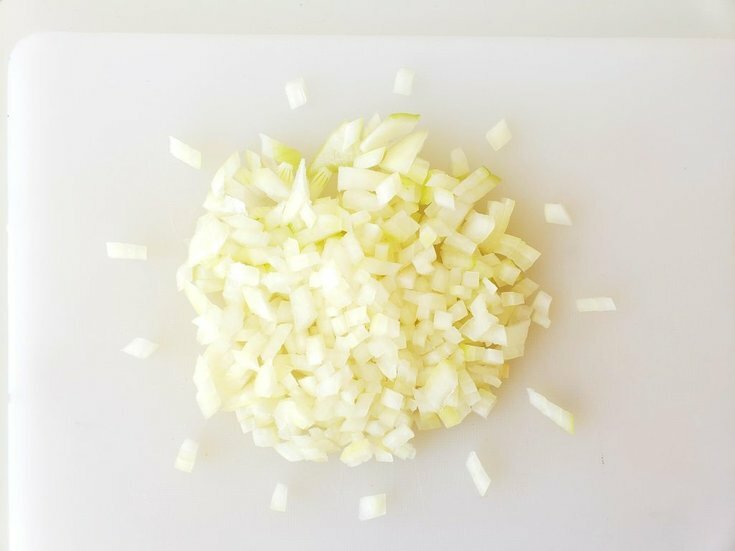 This is an easy step, just finely chop a small onion, then set it aside for now. First, add the other 2 tbsp of olive oil to a large pan over low-medium heat. Then, add the garlic and onions. Cook them for about 5-8 minutes or until the onions turn translucent. 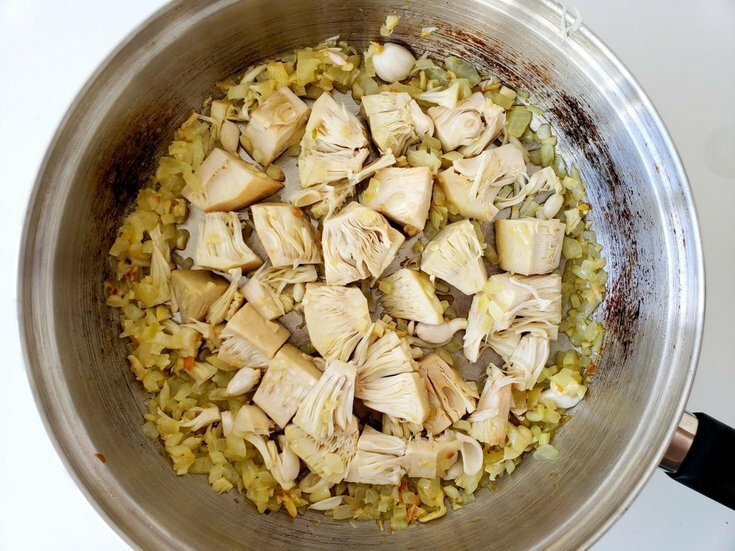 Once the onions are cooked, drain the jackfruit and add it to the pan. Cover the pan with a lid, then let simmer for 5 minutes. This will make it easier to shred the jackfruit later. Time to add the best part-the sauce! Stir in the BBQ sauce, I used a hickory BBQ sauce, but really any type will work. Once you have added the BBQ sauce, cover and let simmer for an additional 10 minutes. Then, use a fork to shred the jackfruit, so that it resembles pulled pork. I found using two forks to shred works a lot easier- one fork to hold the jackfruit and the other one to shred. Finally, stuff the pulled pork into the Anaheim peppers. Then, place them into a casserole dish or pan and cook at 350° F for 10-15 minutes. This is just to make sure the stuffed peppers are hot, but everything should already be cooked. Add cilantro for garnish. Also, for added spice, a drizzle of sriracha does wonders. Next, cut the Anaheim peppers in half, lengthwise. Discard the seeds and membrane. Place the halves of the peppers cut side up in a casserole dish. Then, drizzle with about 2 tbsp of olive oil, followed by a pinch of salt and pepper. Then, roast in the oven for 20-30 minutes, or until the peppers begin to welt. Add the other 2 tbsp of olive oil to a large pan over low-medium heat. Then, add the garlic and onions. Cook for 5-8 minutes or until the onions turn translucent." Next, drain the jackfruit and add to the pan. Cover and let simmer for 5 minutes. Then, stir in the BBQ sauce. Cover and let simmer for an additional 10 minutes. 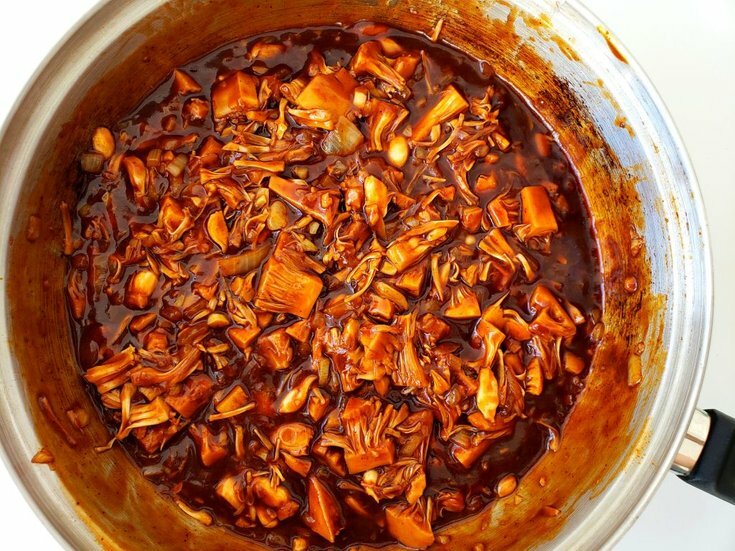 Use a fork or two to shred the jackfruit so that it resembles pulled pork. Stuff the jackfruit pulled pork into the Anaheim peppers. Cook at 350° F for 10-15 minutes to heat everything back up.